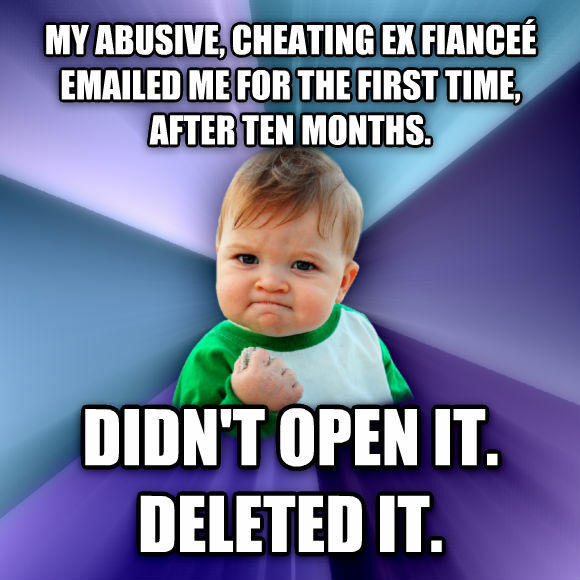 my abusive, cheating ex fiance emailed me for the first time, after ten months. didn't open it. deleted it.